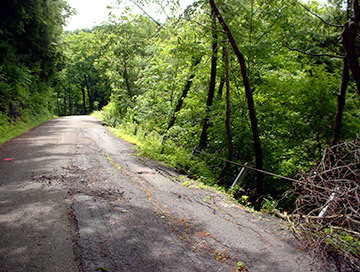 Hanover Engineering was retained by Lower Mount Bethel Township to assist with the design of repairs for a stretch of road on Little Creek Road, approximately 600 feet in length, that was severely damaged by successive hurricanes and storms. The roadway was required to be closed to traffic until the needed repairs were completed and the embankment stabilized. After the Federal Emergency Management Agency’s (FEMA’s) review of the area and damages incurred, the Township was awarded Federal funding for required repair work. Hanover Engineering inspected the site, conducted geotechnical investigations, and met with representatives of FEMA to review and discuss the most appropriate method for repair. Hanover Engineering prepared contract documents and specifications for restoration of the damaged portions of roadway and assisted the Township in the bidding process and award of the contract. In addition, Hanover Engineering provided contract administration services, including reviewing progress of construction, interim submissions, and payment applications. The repair work consisted of constructing a 550-foot long soldier pile and precast concrete lagging wall and a 100-foot concrete “toe-wall”, as well as installation of storm drainage improvements, stream bank protection, and new guiderail along the limits of work. The project was completed within budget, and within a 110-day construction period which avoided the construction extending into the winter.